Acupressure like acupuncture is based on Traditional Chinese Medicine. According to TCM - which has been used on humans and animals for thousands of years - the two most vital substances are blood and Chi (also written Qi or Ki and pronounced Chee). The blood and Chi must flow harmoniously through the animal so that the internal organs can function properly to nourish the entire body. Chi is the life promoting energy that supports all of the body's functions such as digestion, respiration and the immune system. Blood is all the nutrient rich fluids of the body. TCM views the Chi and blood as flowing along the meridians or the energetic pathways of the body. When the Chi and blood become blocked along the meridians due to stress, injury or any internal or external influence - it can lead to an imbalance. By stimulating acupoints that run along the body's meridians a practitioner can encourage the flow of Chi and blood and correct the imbalance. By practicing acupressure in this way it can be used as a preventive therapy to keep an individual healthy. When health has been compromised, although not being able to guarantee a cure, acupressure can assist your animal to enjoy a higher quality of life within its individual limitations. When I meet with you and your animal, I will assess your pet's current condition and specific needs, then decide on an appropriate course of action. The action, or session plan, will include the stimulation of specific acupoints to help bring the animal back to a state of balance and self-healing. You can participate in your animal's health by learning some essential acupoints to use between professional acupressure sessions; I will show you where these points are and how to address them. How often can and should acupressure be applied? A full session no more frequently than every third day is a good rule of thumb. Chi energy requires 24 hours to circulate though the body and if you wait longer between sessions it allows time for the energy to cycle and begin the balancing process. Don't be surprised if you see immediate changes as well. Be aware that when balancing the body, one issue may be relieved and another may appear - like peeling the layers of an onion. Most clients will be comfortable with a weekly or every two week session, unless there is a current issue. 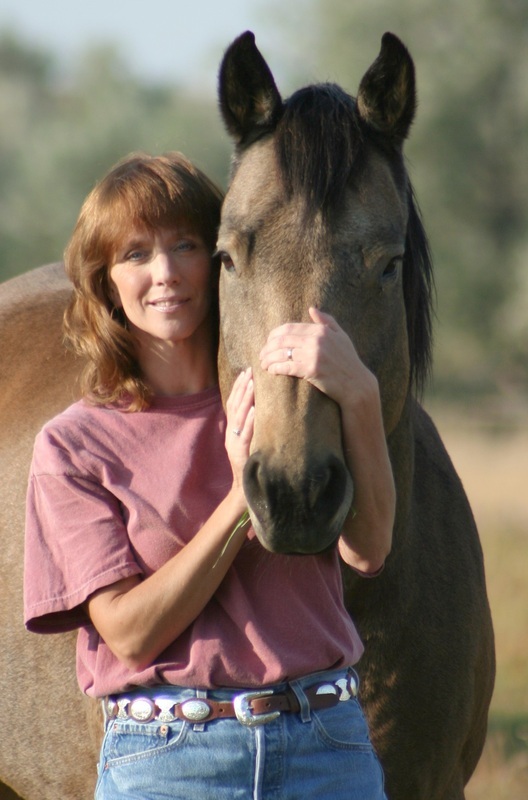 If you are dealing with a medical concern being treated by your veterinarian, I will gladly work with your vet to develop an acupressure strategy which will complement the care your horse, dog or cat is receiving. I would love to visit you and give a demonstration for your group, club or organization...please feel free to contact me. I look forward to working with you and your animals. If you have any questions, please feel free to contact me. My information is listed on the "Contact me" tab at the top of the page. I assist individuals and animals who are struggling with physical, mental or emotional issues to locate the energy blockages or negative vibrations that are contributing to their stressed health. We can then acknowledge and clear the imbalances to allow healing to begin. They are both different applications of the same Traditional Chinese Medicine principles. Acupressure is performed using finger pressure on specific acupoints. Acupuncture is carried out by inserting thin needles into the acupoints. Because the needles are invasive, an acupuncture session should only be applied by a trained veterinarian normally at the vet's office. Treating acupoints with either acupuncture or acupressure has the same effect in restoring balance to the animal. Acupressure can be used to address almost any condition that can be treated with acupuncture. Its intention is preventive, offering the client a way to keep imbalances from occuring in the first place. If imbalances are found or illness/injury has occurred, acupressure can help restore the balance and assist healing. First - Acupuncture involves needles that break the skin. Due to the low risk of infection, acupuncture is performed by a trained veterinarian. Typically this requires trailering/transporting to the vet's office for the session. Most animals exhibit some level of stress once they arrive at the office making it difficult to assess any imbalance/illness that the animal may be dealing with. In comparison, acupressure sessions are performed in the comfort of your own home/barn. It is not required for you to trailer/transport your pet to me - I come to you. This equals less stress for the animal and less stress for you. It also allows me the opportunity to accurately assess your pet in the relaxed atmoshphere of their home environment. I get a complete picture of their living situation and how they relate to you the owner and fellow pets. Because TCM is based upon looking at the animal as a whole, including the mind-body-and spirit, these relationships are important to the health of the animal. Second - For an acupuncture session, in general a veterinarian will insert numerous needles into the individual acupoints and then allow them to "cook". This means that they remain in the skin for a period of time to assist the flow of Chi. While this is an efficient way of performing a session, the practitioner has no way of knowing which acupoints in particular were of benefit and assisted in correcting the imbalance. In an acupressure session, I manually stimulate each individual acupoint on the animal and wait for a release. By doing it this way, I am able to know which acupoints were helpful and make a note of it in my file to use for reference and adjustments in future sessions. How many points are stimulated during a session? Generally I will complete the examination, create a session plan, and use 4 to 10 points per session on the animal. The points are most often worked on both sides. I will keep notes as to which points were used during the session and use that information, the animal's response, observed changes, plus further assessment to determine the acupoints to be used in subsequent sessions. Acupressure most often does not hurt. That said, there are times when a point will have "too much" energy and it can be briefly painful or uncomfortable when stimulated. Always keep yourself in a "safe" position when working on an animal. This is particularly so for animals who have not had body work done in the past. Often that is up to each individual animal. The session can be 20 minutes long or up to an hour. Typically, the first session, including the intake of history and the assessment, will take one to two hours. Follow-up sessions are often shorter and may last 25-45 minutes. It depends on the response from the animal. What if the animal feels worse after a session? This is known as a healing crisis, it can occur as energy blockages are realeased. This is also why a practitioner will limit the number of points worked per session, as too much energy can be affected. 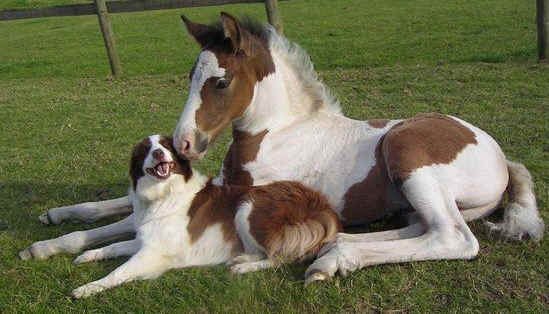 On an older or sick animal, generally fewer points should be used than on a younger and healthy animal. When should you NOT perform an acupressure session? Generally, the animal should be in a rested state before an acupressure session. They also need about 24 hours after the session to allow processing of the point work. Animals should NOT be given acupressure if they have just eaten, just exercised, just bred or been bred, are pregnant, recently been vaccinated, or recently injured. ...Recent veterinary treatment such as hock injections, vaccinations, etc. Is research being done on the value of acupressure? Yes - all the time. There are many published articles and ongoing research projects . Search literature in a public or university library or on the Internet. Animal acupressure is a non-invasive modality intended to enhance well-being in a healthy animal. It is NOT designed to replace proper veterinary care. If in doubt regarding the physical health of your animal, please consult your veterinarian.